Condition: net weight: 5 oz. 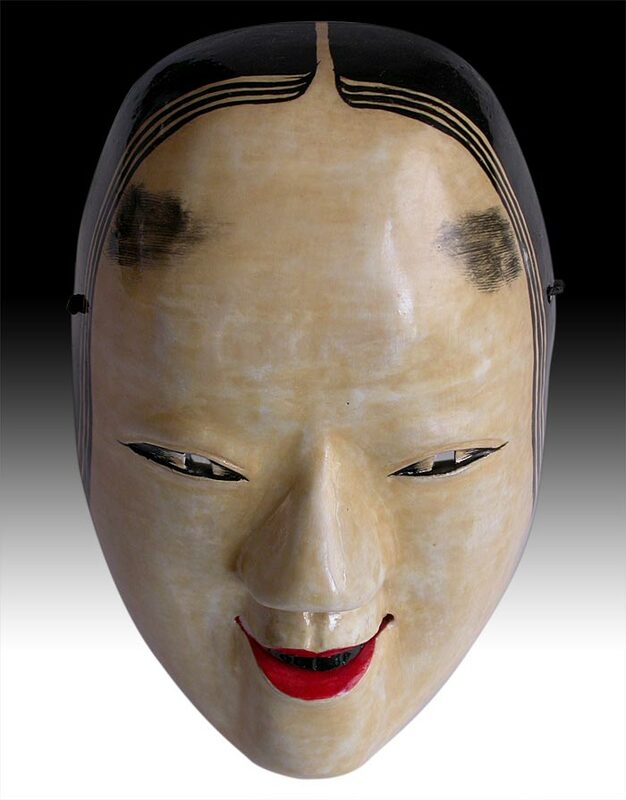 Noh Theater began around the 14th century as a ritual offering in Japanese temples and shrines. 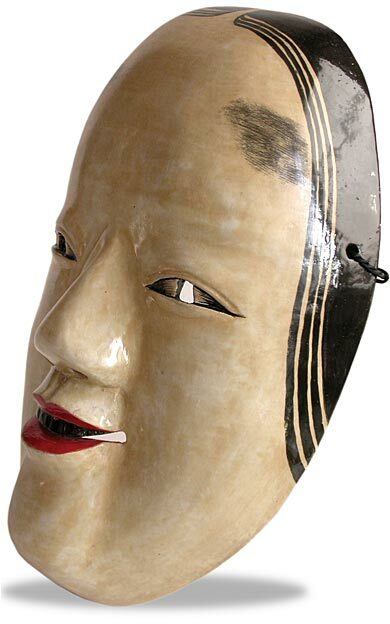 Among sixty primary designs in Noh masks, Ko-Omote (Little Face) represents a girl in her teens, and she is the prototype for over twenty others onna-men, each varying subtly from the innocence of this mask, through which evolved into a wide range of female roles; where in the Noh Play a skilled actor can imbue an impassive expression with subtle emotion according to his movements. 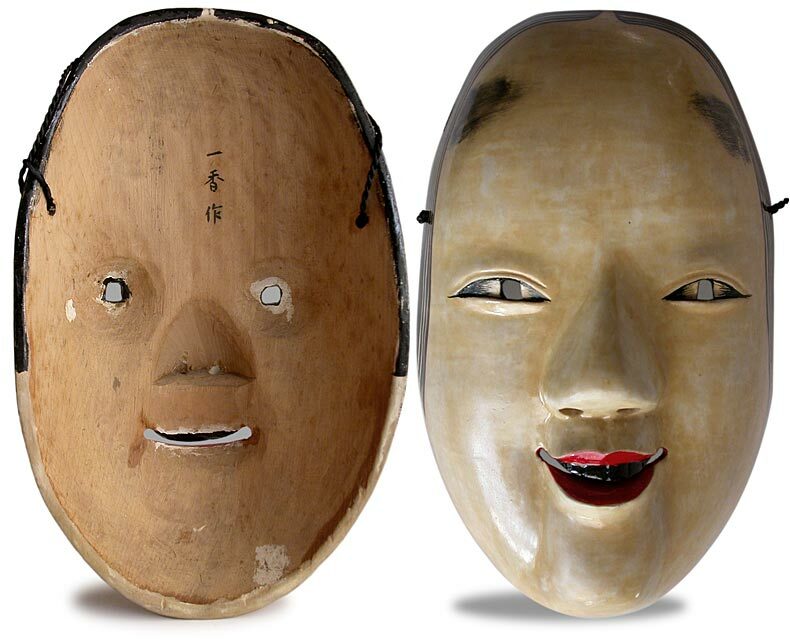 Ko Omote and Magojiro masks are considered as the ultimate technical challenge and a spiritual quest for Noh mask carvers. 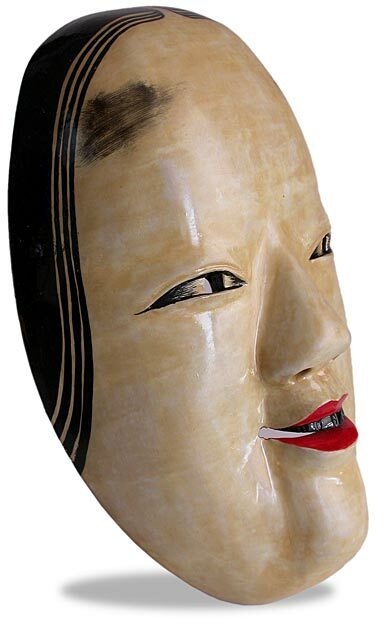 As shown here in this mask by Ichiko, whose traditional chisel by chisel carvings simultaneously in front-and-backside of the mask, completed with layers of kaolin primer applied to buildup the paper thin surface, only then multiple coats of white pigment was painted, and finished with a final coat of black lacquer for her hair. 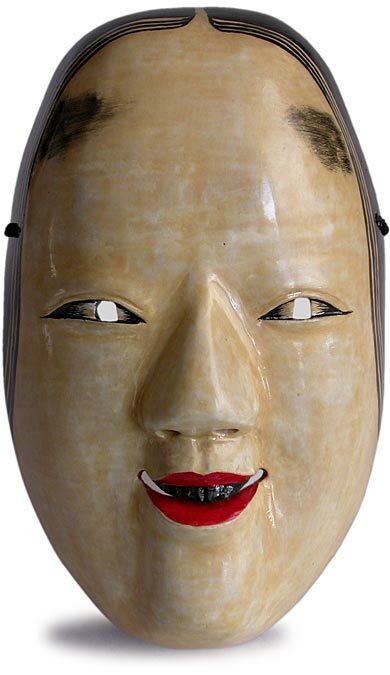 In view of this exquisite paper-thin wood mask, the spirit and mystique in the Noh performance is keenly observed in this Ko Omote mask.